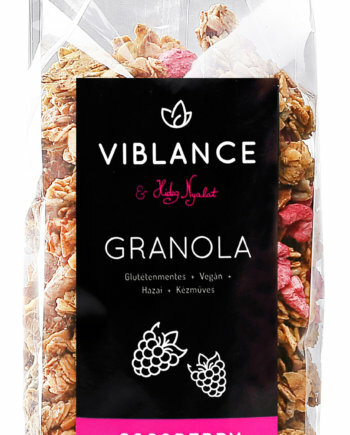 (Magyar) The Cacao flavor is our latest joiner in the granola family. 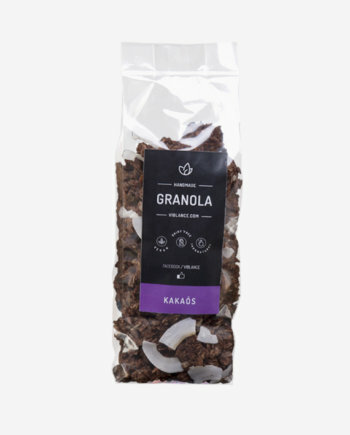 It gives the granola a rich chocolate taste. 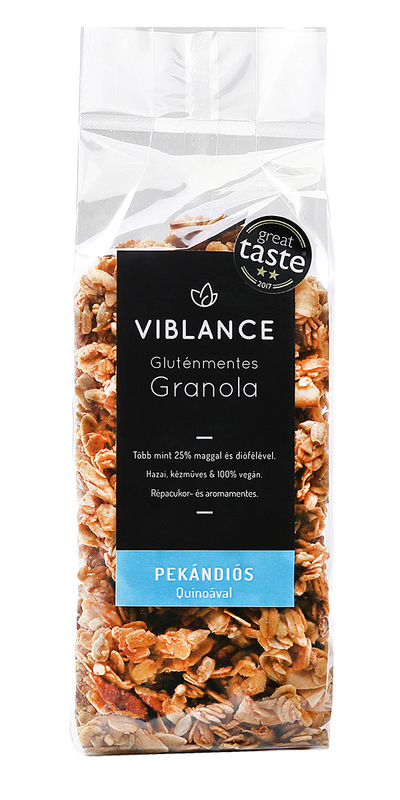 This granola has a sweet but soft taste that is somewhat comparable to a blend of caramel and spices you find in gourmet desserts. We achieved this by using the highest quality, pure maple syrup cultivated in the forests of Canada. The puffed quinoa and millet add a light and crispy touch to the mix. BENEFITS OF KEY INGREDIENTS Our Quinoa Pecan Granola is packed with nutritious nuts and seeds. Pecans are a great source of valuable trace minerals such as manganese, copper, magnesium, phosphorus and zinc, and they also contain a lot of vitamin B1 and protein. Pecans have one of the highest antioxidant potential among nuts and their components contribute to maintaining healthy levels of cholesterol as well as optimal body weight. 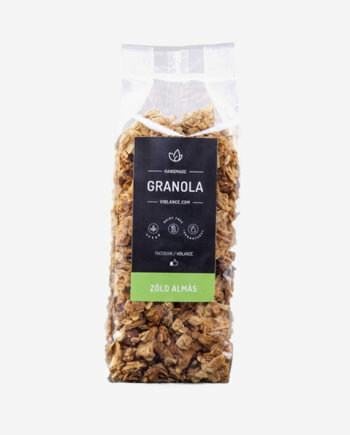 INGREDIENTS Gluten free oat flakes, organic quinoa puffs, organic millet puffs, sunflower seeds, pumpkin seeds, pecan nuts (5%), almond flakes, coconut flakes, organic agave syrup, maple syrup, extra virgin olive oil, sea salt, spices. Produced in a gluten free facility.